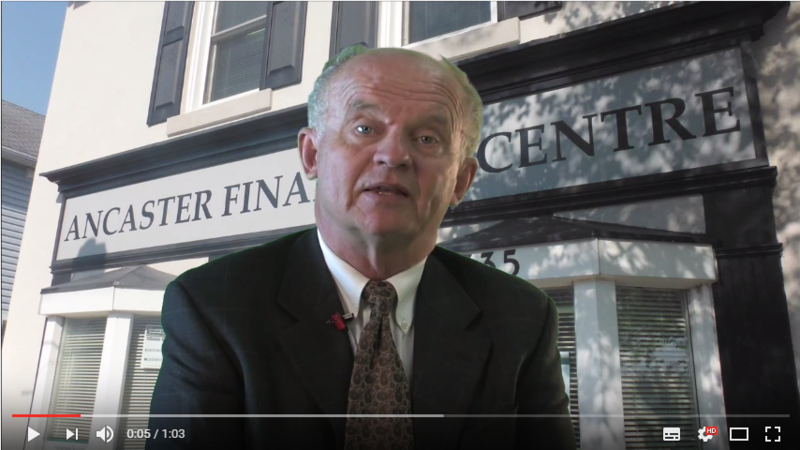 The Advisors at the Ancaster Financial Centre pride themselves on offering simple solutions to often complicated insurance, investment, retirement, estate planning, and tax planning problems. They work collaboratively with their clients and their clients’ own professional advisors to tailor needs-based solutions to better equip them to prosper no matter what life throws at them. Looking for information about Employee Benefits? Group RSP’s and Pensions? Individual Pension Plans? Tax Free Corporate Estate Transfer? Look no further — our Professionals can help you. How much life insurance do you really need? What type? What is the difference between Disability Insurance and Critical Illness Insurance? We have the answers. Are you tired of paying too much tax on your investments? Do you want CRA to be a beneficiary of your estate? Do you have cash stranded in a Holding Company? These are but a few of the tax matters we can help with. How do I keep the cottage in the family? What about the family business? What is the best way to pass money to my beneficiaries? How do I avoid making CRA one of my beneficiaries? These are important issues — talk to us, we know the answers. How much do I need to save? What interest rate do I need to earn? What should I invest in? What is the retirement risk zone? If you would like the answers please contact us. How much can I spend each year so I don’t run out of money? How do I minimize risk and protect my capital from market downturns? Which assets should I spend first?